My grandmother always enjoyed oranges. Her room smelled like orange peelings, the segments of dried-out fruit littered the wide plastic table that was her nightstand. As long as her arthritic hands were willing to, she always peeled her oranges herself. She dug her aged thumbnail into the center of the fruit as she peeled off the skin. The tangy, tart fruit brought a quiet smile to her face. It was as if the fruits were a calming presence in her life. Well into her seventies, Lola was still very strong and able. She was 73 when I was born, and her quaint figure was instrumental in raising me. When my parents worked, she assumed a lot of roles: she cooked our food, she cleaned up after us, and kept us clean and healthy. Well into high school she made sure we hit the books, steered us far and away from trouble, and into her eighties, even tucked me in from the top bunk that is my bed. Carefully, at that: the two blankets and the comforter had to be perfectly aligned before she trudged out of the room, and into hers. When she took the fall that kept her from walking – and I was old enough to be aware of the world around me – I realized how much of a toll age can have on the body and the spirit. She gradually lost her hearing, and her eyesight failed her. She had to spend much of her time either in bed, or on a wheelchair. 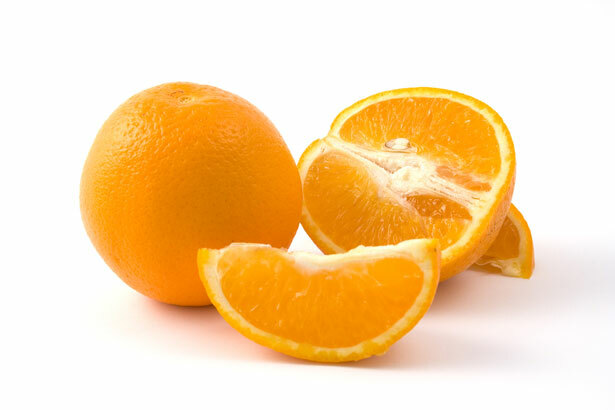 Still, at the age of 87, she took the oranges from her lap and carefully peeled them. She wasn’t a big fan of ponkan because the pith was too thick, and kiat-kiat was too small. Those inexpensive sweet oranges from the market were her favorite. The oranges were always top of mind for Mama when she went to market, carrying a kilo or two when she got home. It was to calm Lola: to keep her from trying to sit up, or breaking bowls, or to lie down in an awkward position that she and my sister will have to remedy before she gets a rash. The oranges were for her. While we gorged ourselves on the other things she bought, we knew that the oranges were bought for our Lola. I often wished my Lola would recover and stop being so restless in her wheelchair. For a very hardworking woman who held a long string of jobs – seamstress, washerwoman, hawker, handicraft maker, and her calling as a shrewd storekeeper – the last task that ever made full use of her very able hands was that of peeling oranges. She was very careful at the task, avoiding having too many stringy pieces of pith on the fruit once she’s done. It took her quite a while to finish one orange. She broke the fruit in half lengthwise, and offered half to me. Whenever she had oranges and I was around, she always offered half of it to anyone who would be there. If she was alone, the fruit dried out slowly on her bedside table. As the fruit aged, it gave away its scent to the room. I guess that’s why the first smell that greeted us on the hallway leading to her room is not ointment or waste, but oranges. Always the scent of oranges. A little over five years ago, on a rainy January afternoon, she passed away in a hospital bed. The day before she died, the last two fruits on the hospital tray included a banana and an orange. The former for her to eat, and the latter for us to peel and share. Yesterday was Grandparents’ Day. The aged who can make it are whisked over to malls, the aged who can’t get a special meal. The hospices play lively music, the shopping centers have a much slower pace. For me, the oranges became rarer and rarer treats, not like they were five years ago. Maybe in time I’ll grow old, and look for those sweet oranges too, and like Lola before me, give away half.